5 Proven & Evergreen SEO Tactics for 2013 and Beyond | Be "Noticed"
5 Proven & Evergreen SEO Tactics for 2013 and Beyond. In today’s technologically driven world, new products and ideas are being implemented and almost immediately replaced by the next generation. Most computers are considered outdated after two or three years. Luckily, within the SEO realm, there are a few strategies and tips that can help you breach new grounds and support your website. When you take the general ideas and tweak them to fit your situation, you can reach new users and consistently have return users. As your website gets more views daily and begins being searched for, it will quickly climb the ranks within Google’s search engine and promote your website even more. Imagine that your website is based off of flowers. Chances are you would be drawing gardeners and landscapers as your primary audience. They most likely also use other sites that may be more familiar or well known. It would greatly benefit your website by being active within their community. Most blogs and forums make it easy to promote your website by using the signature spot. It is a great way to subtly get your website out and creating quality backlinks without blatantly telling everyone to go to your website. If you have a page or article already written to answer a question than you can send someone the direct link. This will bring many of the viewers that have the same question to your website directly from theirs. More importantly Google values those links and will see the traffic as organic traffic. 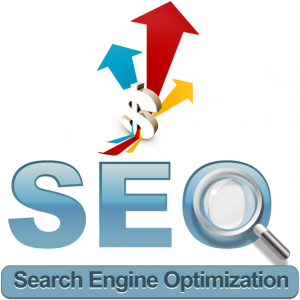 The increase in traffic will raise you up the Google ranks rather quickly. Take that concept and manipulate it into your website and become active. Find the well-known websites and become more active. Chances are you are already members in some of the forums. Start talking to the writers and editors after a positive reputation within the website and request one of them to perform a guest interview. Hold a small written interview that answers questions specifically to your niche and promote it between the two sites. It will quickly add to your views. The most important aspect to running a successful blog or website is the content. You may get a lot of initial traffic that visit the site once. If the website is lacking information or unique content it will not draw return viewers. No one is going to be following you on Twitter or Google+. Unique content does not have to be a story no one else has covered because the chances of finding anything interesting will be difficult. Rather, take a different spin or viewpoint in your posts (tended more for blogs). The opposing viewpoint (with great information to back it up) will make others think of a situation differently. Those are the people whom will be willing and eager to return to see what you have to say. For websites, the more detailed and informative the websites are the better. If you go online to shop and the description was lacking or misinforming, would you feel confident in spending your hard earned money? Most people would inquire further and go to another site with a better description so they know exactly what they are getting. In today’s world free time is almost as valuable as money. Earn the viewer’s free time with great content. They will return with more of their free time and bring your views up daily. Ads are a great way to get your name out to masses, but it should not be your main source. Most people searching through the web are reluctant to follow any ads. Unfortunately the mass CPC ads have ruined the reputation of having a quality and unique ad link. When others are talking about you (especially on blogs) it will leave a thread for others to follow to your website. When they are talking good things such as great information, DIY tutorials, or comedic relief, it will bring a lot of viewers over to your website. In fact, you are likely to be “googled” and will quickly launch into the top results for search engines. Your website becomes valuable to list at the top due to the increase in searches. Even with a direct link however you are getting more views and hopefully a returning viewers and posters. As mentioned above, having bad content creates ripple effects. When your name comes up on blogs and websites with a negative connotation, it will be scaring away much of your clientele. It will be remembered for the bad remarks and be skipped over considerably. Google’s Panda Algorithm has become very intricate and can recognize the difference between quality, well placed links and other computer generated or spamming links. For most people that have read through and YouTube video comments will know that you can place links almost anywhere. If it is misplaced and in the wrong niche it will be quickly written off as spam. Google takes those into consideration and will react accordingly. There may be an initial climb in views and rankings as they crawlers quickly analyze the links but will be readjusted quickly. Remember to stay within your niche or expand in appropriate areas. (Back to) A Gardening blog, they can reach into landscaping or home improvements niches and receive good reviews and viewers. If they were to participate within a computer related or gaming niches, it would quickly be pointed out as out of place. However, if you have an interest and are active in the communities in your free time, feel free to leave it in your signature. It doesn’t hurt and no one is going to criticize you for having the link within your signature. Websites are now capable of housing many different tools and widgets. If you can combine and introduce your own, you will have a very valuable asset. While other websites cannot take your gadgets, they will gladly post a link to your website as a great tool. It will add a solid reputation to your blog/website on top of adding traffic. With a great website layout you can get wandering internet users looking through your website for hours. These ideas have withstood the test of time (to date) and they are not predicted to be replaced anytime soon. You may have to morph the initial theory but the main concepts are still the same. Using these five tactics you are all but guaranteed to improve traffic. It will not be an overnight jump. Do not expect to wake up the next morning after a guest post and see your view have doubled. It is a time consuming way, but assuming that you have an interest in your website’s content means that it will be well enjoyed time. This article was written by Craig Richards, an experienced online entrepreneur who also enjoys writing on marketing and business related topics and tutorials, including how to using online services like Qirina for researching competition.